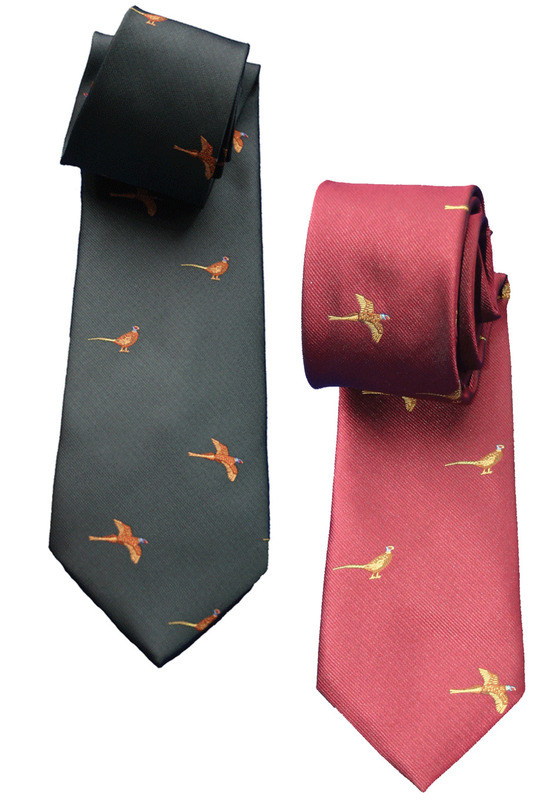 A smart child's shooting tie with standing and flying pheasant detailing, available in olive green or wine. Our children's shooting ties are traditional ties, scaled down to be the perfect size for young shots and beaters. Team with our children's checked shooting shirts, child's moleskin breeks and a shooting jacket or kids shooting waistcoat to complete the perfect shooting outfit.